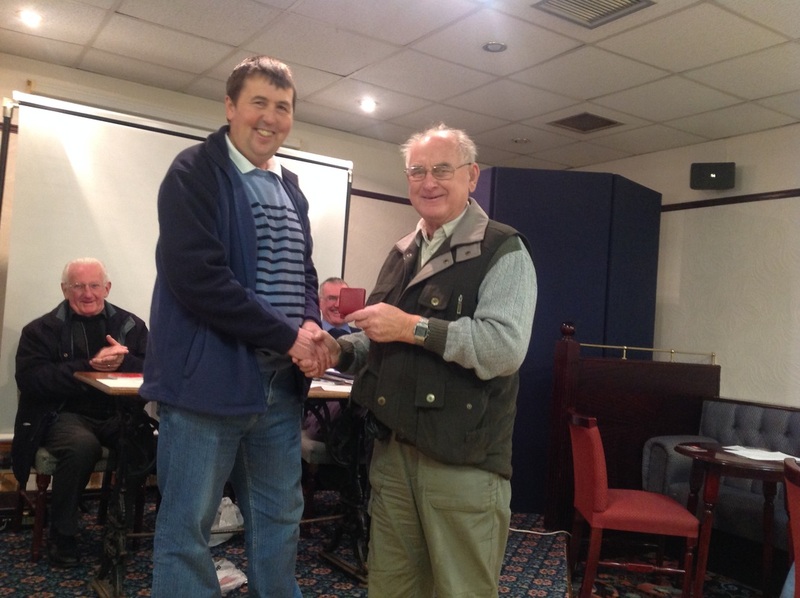 The AGM was again a great success this year. Below is the Chairman's report which was read at the event by Dave Woodhouse. As usual we started our year as we finished the last one with our AGM. We had a very good presentation from Ian Sutherland, who showed pictures of the winning exhibits from around the country as well as of some new varieties alongside many slides from our show at Ingleton. Thank you Ian for a very entertaining afternoon. We held our annual dinner in January, which was again I'm sure, enjoyed by everyone who attended. We had our usual presentation of trophies, the huge raffle as well as a musical themed quiz organised by Frank and Joyce Taylor. Thank you very much to them, I know they put a lot of work into it. We hope to see as many of you there as possible at our next dinner. Next on to May when we welcomed John Bottomley who gave us an insight into how he grows his dahlias. I think we were all impressed by his dedication and how he had to collect water in barrels and work an irrigation system from them. John also showed us some snaps of his winning exhibits of waterlilys and collerettes which he shows to great success all over the country, thanks John. We then moved onto our show at the Ingleton Community centre and Andrew has a full report but I would just like to thank everyone involved for making it a great success again. Our next talk in October was given by Dave Matthewman. He split his talk in to speaking about his 50years in horticulture in the parks departments etc and his passion for growing dahlias in particular giants. It was very interesting thanks David. Finally I would just like to thank you all for supporting us through this last year in all the ways you do and I hope for the same in the next year. I'd just like to wish you all a happy Christmas and a healthy and successful New Year. 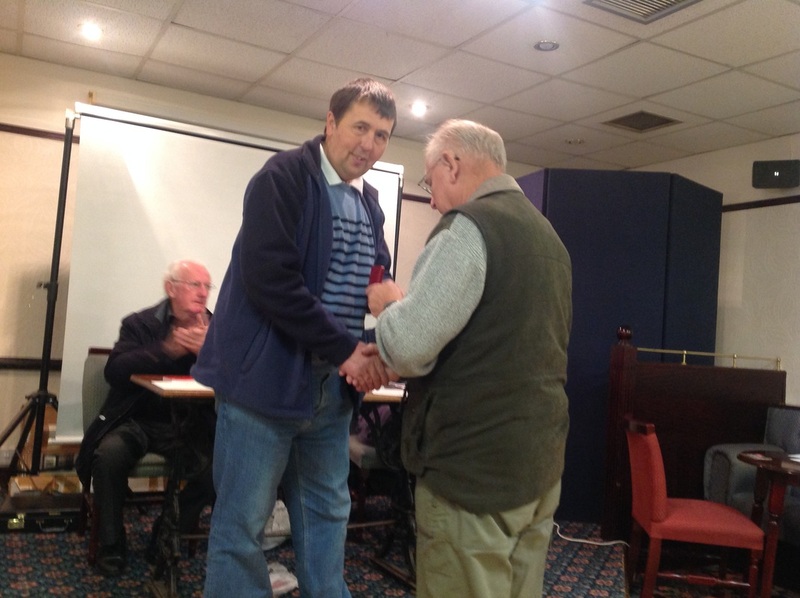 George Towler being presented with the affiliated society silver medal by Dave Woodhouse for his services to the North West Dahlia Society. PIC: Jack Gott. Chairman Dave Woodhouse says, 'You can pay me later' to George... PIC: Jack Gott. Graham Macfarlane being presented with the blue ribbon for the best exhibit in the 2014 North West show for two vases of Primrose Diane. PIC: Jack Gott.